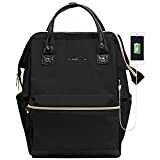 Material: PU leather/ Nylon, Water Repellent; Dimensions: 16.5″x 10.45″x 6.65″ / 16.9″ x 11.15″ x 7.5″; Weight: 1.57 LBS / 1.87 LBS. 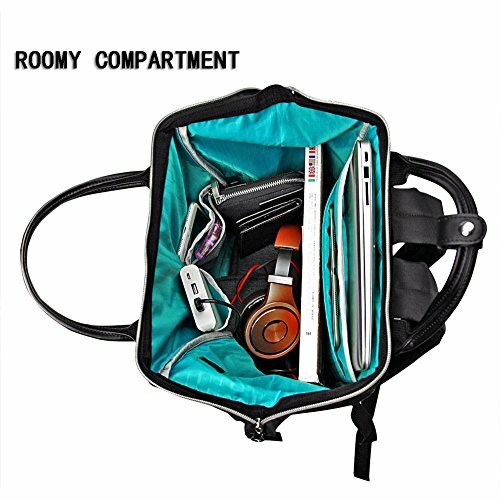 Roomy space for your laptop and tablet. 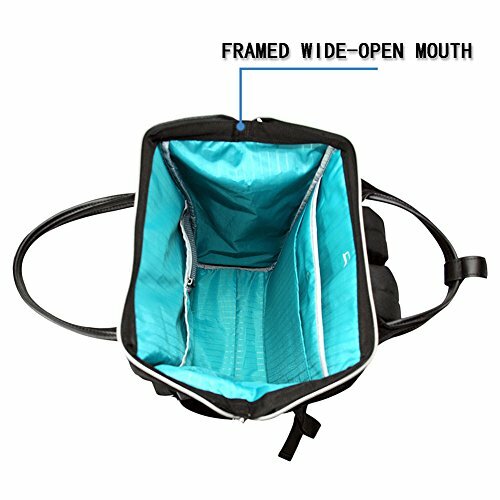 One open pocket and mesh pocket provide perfect storage for your small items, such as credit cards and keys. 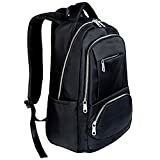 Zippered compartment and side pockets all in simple and practical design, black leather pullers are the best choice of fashion. 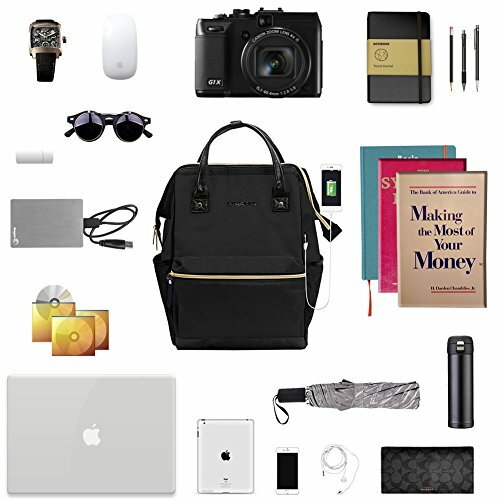 What’s more, the bag is lightweight and it is easy to carry. Weight: 1.57 LBS (0.71KGS) / 1.87 LBS(0.85KGS). 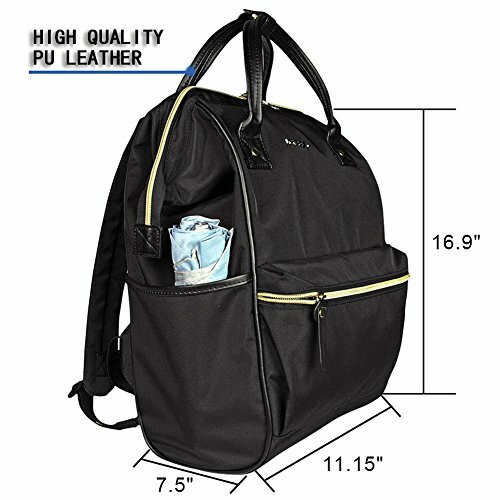 Reinforced edges and steel frame of the main compartment keep the perfect shape of the bag and durable of usage. 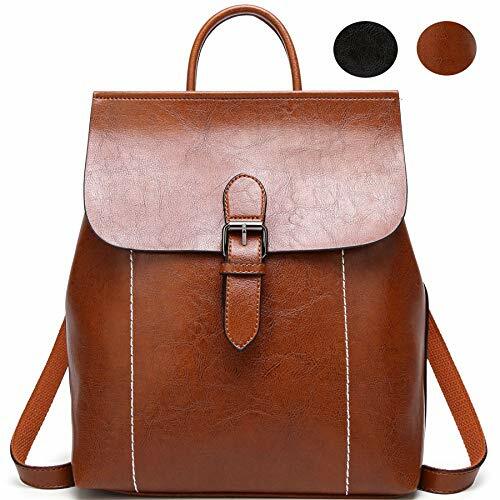 Unique leather handles match well with shoulder straps. 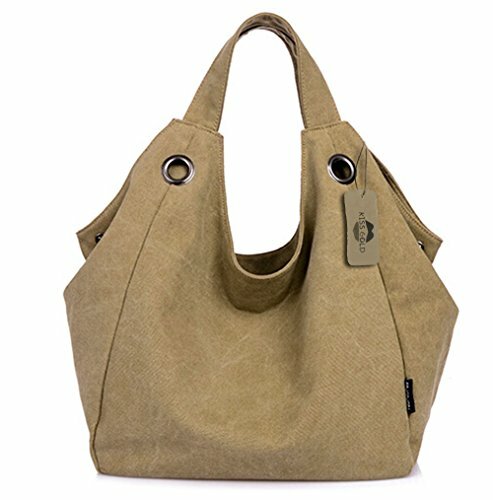 1 Year Mfg.’s Warranty against all defects extend the life of bag. Any other questions please free to contact us, we will provide best service for you. 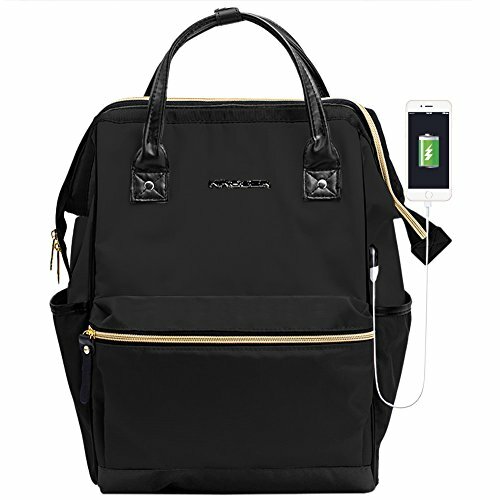 HIGH QUALITY – Soft Durable PU leather and Nylon Fabric, with Waterproof and Anti-theft function to protect your electronics, books or clothes. 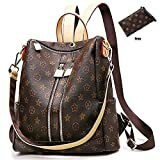 STRAPS – Two adjustable long shoulder straps, one detachable comfortable hand strap or single-shoulder strap. 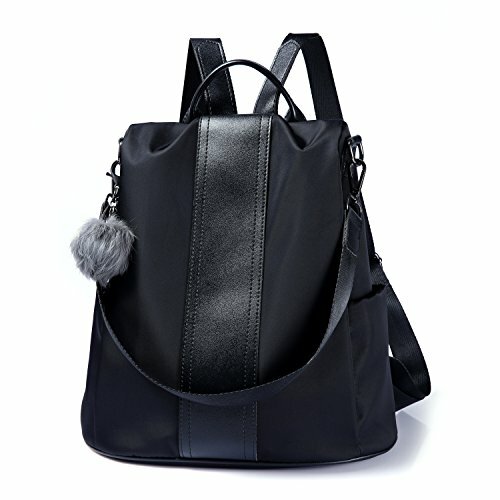 【GOOD QUALITY】 Cute backpack use Durable Thick FAUX LEATHER with polyester lining. 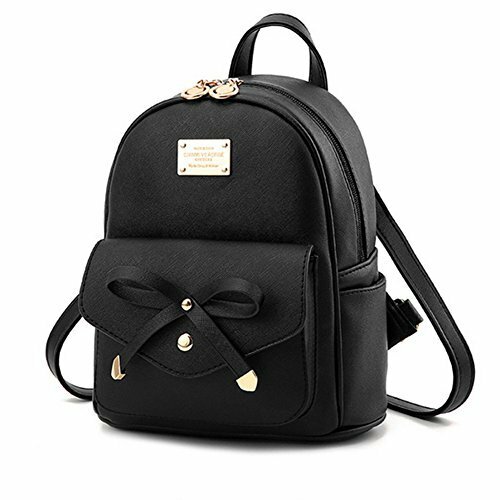 【TRENDY DESIGN】 It’s simple, cute and feminine type of small bag, with the Bowknot on the leather backpack adds some cuteness, looking fresh and young and will catch everyone’s eyes. 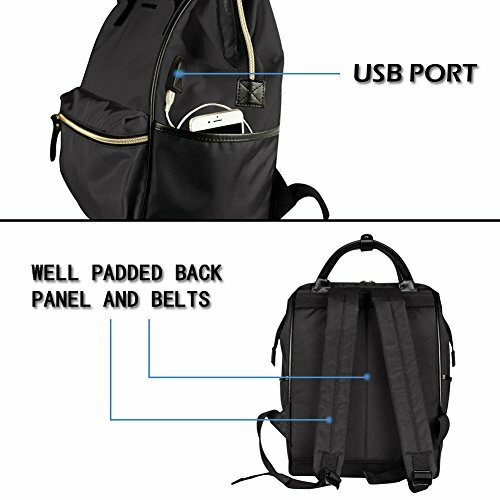 It is available for students use, casual daily use, or travelling. 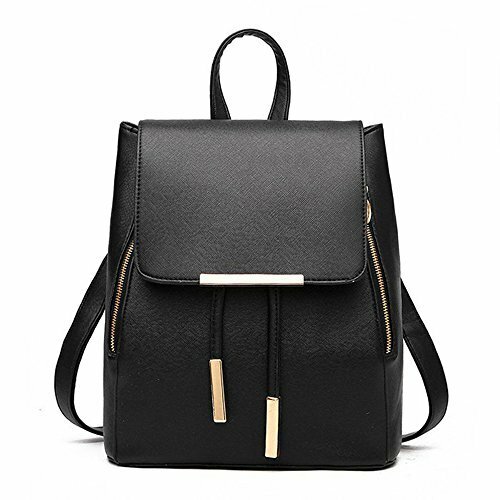 No matter you are a student or an office lady, it is a good choice for you to reveal your noble temperament. Never go out of style. 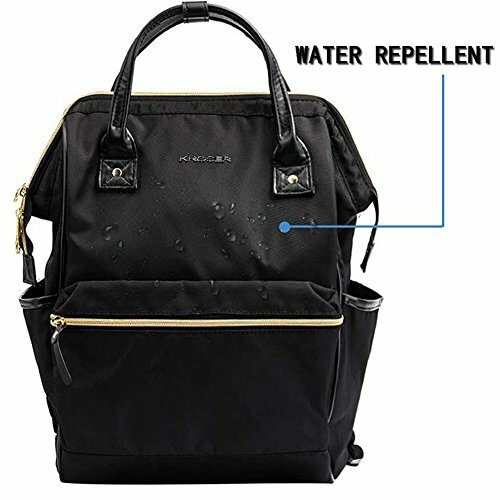 【WELL MADE】 Clean stitching and high quality metal accessories for durable in use; 1 sewed top short handle and adjustable double shoulder straps for extra comfort and allow you hands free.